Over the past two decades, Google has climbed its way to the top of the pile and become one of the major success stories in the digital world. The company officially marks its anniversary on 27 September, and this year is no exception, with a 18th birthday party doodle. But what you may not know is that you can travel back in time to those hazy, far-off days of 1998 by using this secret search term. 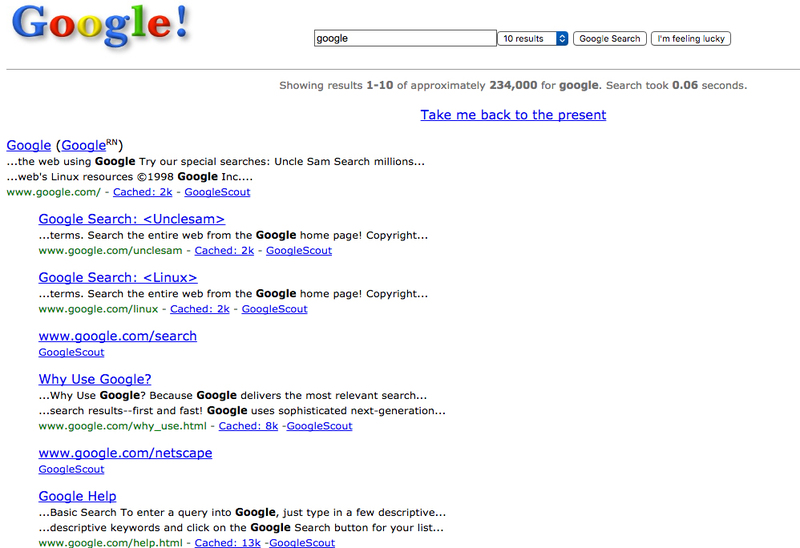 Type in “Google in 1998” and you’ll be confronted with a mock-up of the original homepage from that year. Google was first developed back in January 1996 by Sergey Brin and Larry Page, tow Stanford University students in California. They were originally going to call the portal “Back Rub” - as it ranked sites on how many links back they received. They settled on Google after a misspelling of “googol” - that is, the number that consists of 1, then 100 noughts. It was thought that would signify the amount of websites they’d be able to index eventually. Now we can’t live without it! 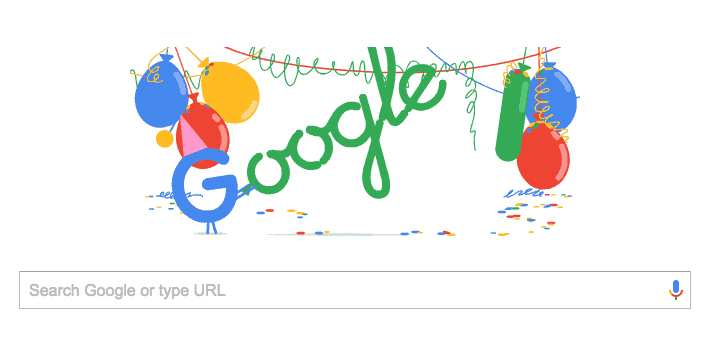 Happy 18th birthday, Google. Now you can Google some pubs to celebrate in, now you’re officially of drinking age (in Britain, at least).